Harvested from the cold waters of the North Atlantic, our twin lobster tails are frozen at the peak of sweetness for your enjoyment. 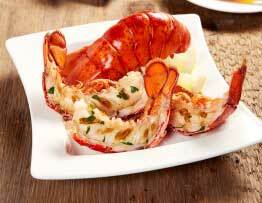 Whether you steam them, broil them, or grill them, our lobster tails are easy to cook and even easier to enjoy! Our Twin Tails are shipped frozen and can be kept refrigerated for 3 days or frozen for 30 days. 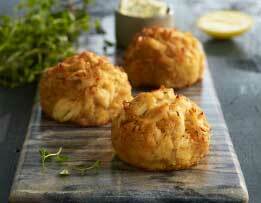 Unwrap the lobster tails. If frozen, place in strainer and run under cold water or place in the refrigerator until defrosted. 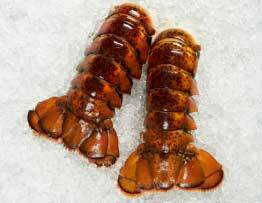 Split the lobster tail in half by cutting lengthwise down the back of the tail and brush with melted butter. Broil in shell 5" from heat source for approx. 4 minutes. Baste with more melted butter and broil for an additional 3 minutes or until lobster meat turns opaque. Cook until internal temperature reaches minimum 145 degrees. Watch closely to avoid overcooking. I have enjoyed oysters at your downtown Boston location. So I thought I would order the lobster tails for my mother for Mothers Day. She is 85 years old and had no problem preparing the lobster tails. My mother commented on the freshness and great flavor. I would recommend to others to give it a try. First time ordering lobster tails from Legal Seafood and was not disappointed. They were very tasty and fresh. Living in FLorida makes it difficult to get cold water tails. But not anymore! Will definitely be ordering these again. Order handled efficiently and lobster tails arrived right on time for a special dinner. They were excellent and better than any others we can get in local restaurants. So glad to also have those special dinner rolls from Legal. They made the meal! After following the cooing instructions these lobster tails tasted exactly how they should. I would recommend these to anyone who cannot get fresh lobster tails where they live. Sent 22 lobster tails for my mother's 96th birthday. Second year in a row I've done this. They were fantastic! She, and the entire family, loved them. Incredibly easy to prepare--and delicious. Everything is always great, every time we order. Love the food.